Kevin Paredes/Photo Editor #)	Mirei Kato, a senior majoring in integrative neuroscience, gets pied in the face by Jairo Rosario, a senior majoring in biology. The Delta Epsilon Mu pre-health fraternity held a philanthropy event, “Pie-a-Brother,” on Sept. 29 to raise money to send children to Dragonfly Forest, a summer sleep-away camp for children with special needs. 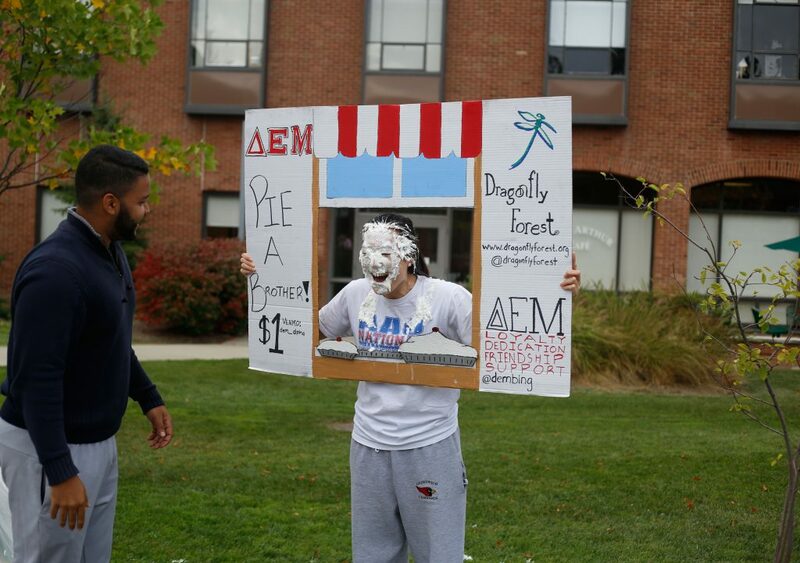 Students, faculty and staff could pay $1 to pie a fraternity member.